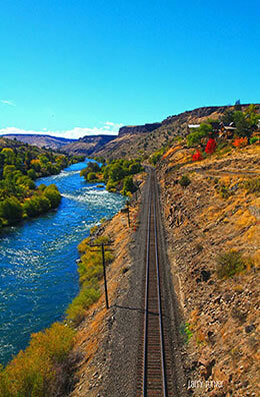 "ADVENTURING in THE DALLES, OREGON"
The Dalles is such a place. A few months ago I took the pleasure of its company for nearly a week...and I wish that I would have gotten to know it years (even decades) ago. Knowing it now, I will come back. 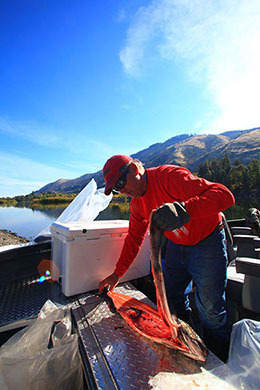 I was among a small group of outdoor travel writers invited to sample its destination offerings with an emphasis on fishing the mighty Columbia and Deschutes rivers. 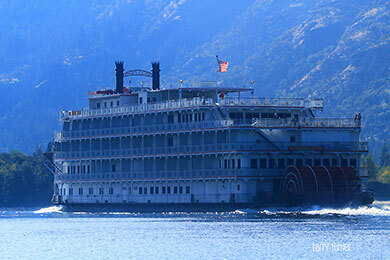 I came away hooked on fishing the Columbia (I did not fish the Deschutes) but also became hooked on much, much more...including the hiking, biking, wine and beer touring, culinary delights, history and sight seeing. 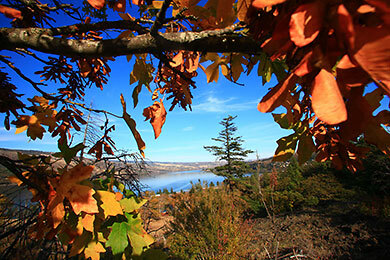 Location, location, location in many ways describes The Dalles. 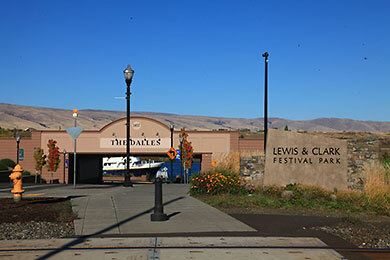 Located at the entrance (if heading west on 84) of the Columbia River Gorge, The Dalles is steeped in a rich history of the First Americans, the early fur trapper explorers, Lewis and Clark and the first wagon-trains traveling the historic Oregon Trail. 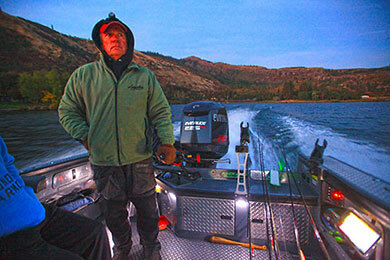 The Dalles is a mecca for fishing whether it be spin, bait or fly. 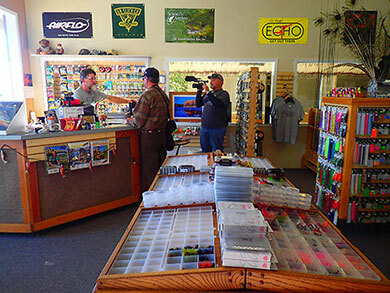 I gave my fly rod a rest to fish the Columbia one day under the extraordinary tutelage of Dave Eng, advertising guru for Frank Amato Publications (www.amatobooks.com) which includes SalmonTroutSteelheader Magazine which I've been familiar with for years. 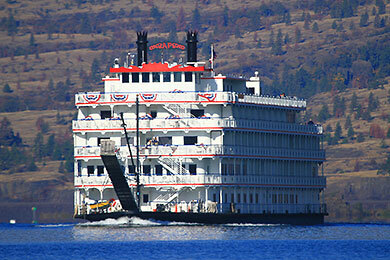 In the dark of dawn, a few journalists and I boarded Dave's boat at Mayer State Park at the I84 Rowena exit. I was happy to have dressed very warmly, including gloves and ear mittens as the autumn morning was very chilly. 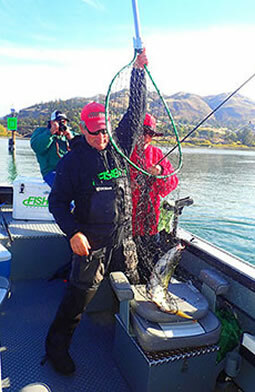 We trolled with flashers and lures, catching one salmon. 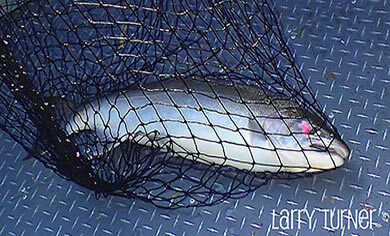 Strikes were far and few between so Dave said, “Okay, we're going to change out and drift, bouncing bait (eggs).” No sooner than hitting water with our first drop, we had bites, eventually catching three more salmon (one which we released) and several sturgeon (all which we released). 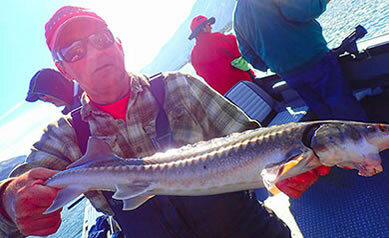 I caught two, the first sturgeon catches of my life. 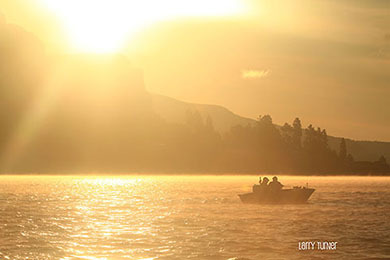 The sunrise was glorious over the water with mist rising. We fished until noon, enjoying the warming day, ample fish stories shared by all and the general camaraderie of kindred fisherman. 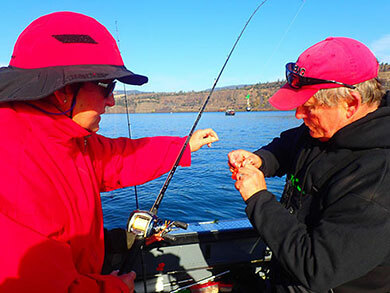 As fellow Southern Oregon University graduates, Dave and I reminisced about the 'old days.’ I fought and lost a couple of salmon, but Dave in his generosity gave me the silver which he caught. He even filleted it for me and I had the pleasure of fillets for a solid week. 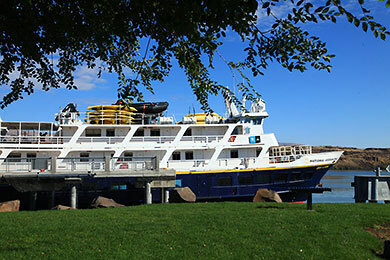 The Dalles restaurant, Petite Provence, had provided us to-go breakfasts/lunches (I had a Orenco Omelet and a Monte Cristo sandwich and both were yummy) for our trip so we arrived back at the dock with full stomachs and content fishing souls. 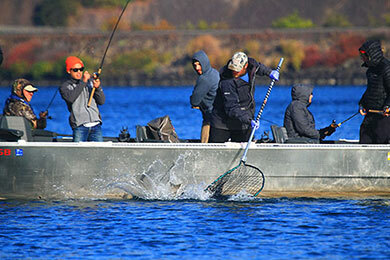 The day before, a different group of journalists from our FAM trip fished the fabled Deschutes but had slower fishing. 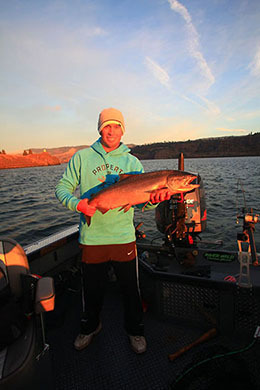 The Deschutes, which empties into the Columbia east of The Dalles, is world class salmon, trout, steelhead water and a must for any fisherman when staying in this area (catch the salmon hatch in May and June). 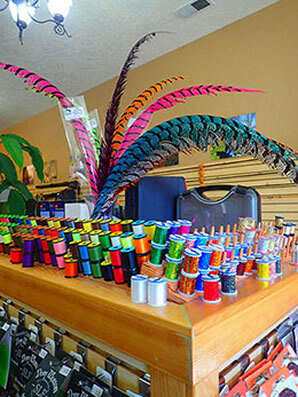 For up to date information on fishing, call Flyfishing Strategies Fly Shop (www.flyfishingstrategiesflyshop.com) owner Paul Anderson at 509-930-4406. 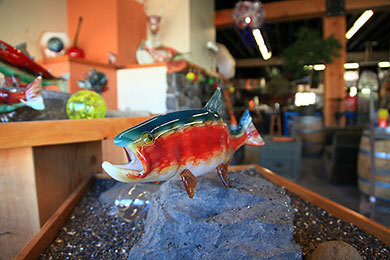 We visited his shop in downtown The Dalles and he has everything you need for the local waters. 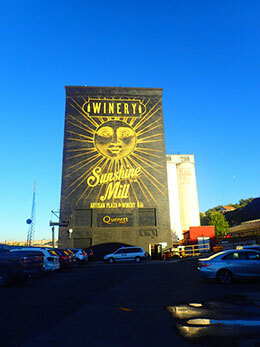 Driving I84, I always wondered about the large grain silos at the east entry to The Dalles with the striking mural that says Winery Sunshine Mill. After settling in to my sparkling Marriott Fairfield Inn and Suites room (highly, highly recommended, by the way and it is a spanking new inn; www.fairfieldthedalles.com), The Dalles Chamber of Commerce President/CEO Lisa Farquharson drove me and several other journalists to a welcome reception at Sunshine Mill. 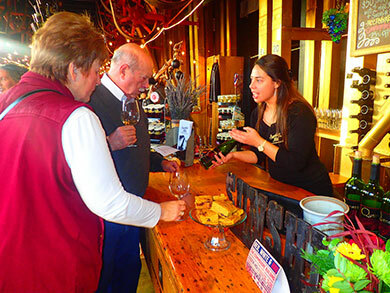 The Mill is home to Quenett and Copa Di Vino (cup of wine) wineries. Gracious hosts/owners James and Molli Martin (natives of The Dalles) greeted us and gave us a full tour, including tastings and food. 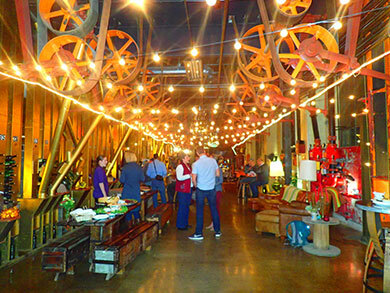 This 130 year-old wheat mill (the first building in The Dalles to get electricity) is one of the most unique wineries that I've ever visited. 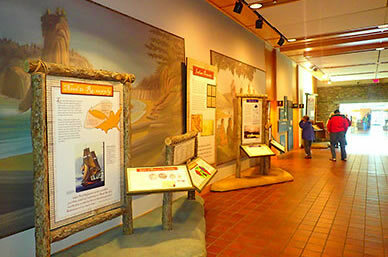 It was once the home of Sunshine Biscuit Company which milled the wheat for Cheeze-It Crackers. 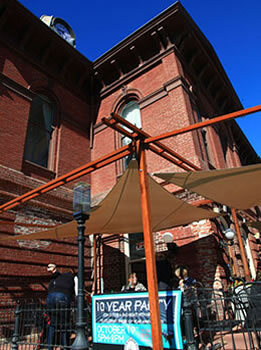 I was immediately impressed by the modern usage of the structure for wine, food (small plate menu) and esprit de corps. Character is an understatement when talking about this winery building. I was even more impressed by the quality of their wines. James, an avid fly fisherman like myself, and Molli, named the winery Quenett which means steelhead from the local First Americans. 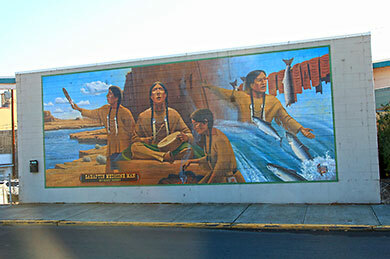 Lewis and Clark, who camped along the nearby banks of the Columbia, mentioned Quenett in their journals. Their 2010 Redd Red (named after the steelhead and salmon nests) was superb, a red blend with a firm nose, fruit-forward and spice at the end. 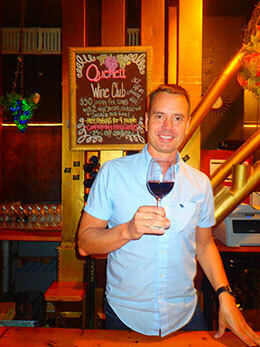 Wine aficionados were brought into the Quenett fold immediately with their 2002 vintage zinfandel and sangiovese. I was pleasantly swept away by their 2012 barbera and 2010 cab. 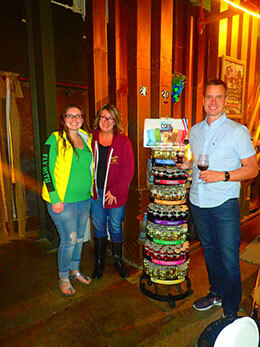 The Martins came up with a novel idea, too, which led to single serving Copa Di Vino. 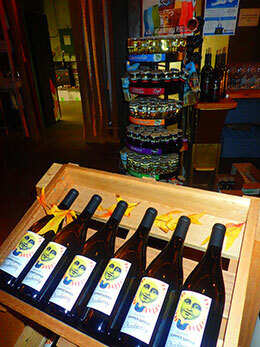 “We first came across this idea of single serving wine in our train travels in Provence, France. Now we have Copa distribution in 46 of our 50 states,” states James proudly. 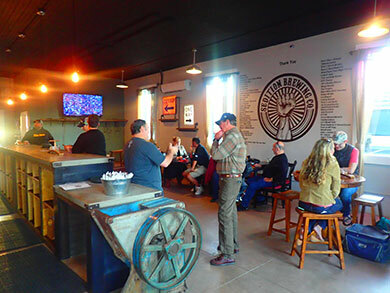 “The nice thing about the single serving container is that you can take it fly fishing, backpacking, biking, whatever.” During the summer and parts of autumn, the Martins have a Movie at the Mill Night when a movie is projected in one of their outside patios. I made a note to come back and see one along with enjoying a Redd Red and some cheese fondue. 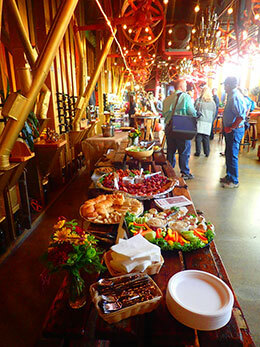 During our several day stay, the Chamber led us to several local breweries and eateries. Every single one was excellent. I had a great lunch (Caesar of the Sea) at Clock Tower Ales (www.clocktowerales.com; an 1883 building that was the Wasco County Courthouse) and partook of two of their beers from around the country: the shake chocolate porter on nitro and the peanut butter milk stout on nitro. It was like a liquid dessert. At Freebridge Brewing (www.freebridgebrewing.com), I sampled their muleskinner stout and suicide grade double IPA, along with a molasses stout chili (yum). 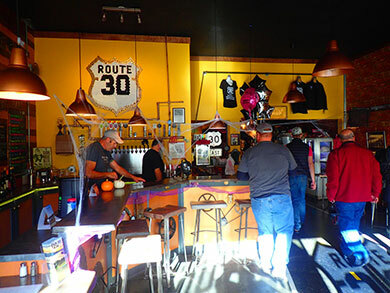 Route 30 Bottles and Brews led to tastes of Organic Survival Stout and Bailey's Cherry Wit. "BEER IS PROOF THAT GOD LOVES US AND WANTS US TO BE HAPPY." Benjamin Franklin. Upon seeing that on the wall of Sedition Brewing CO in downtown The Dalles, I knew I was in good hands. I ordered a small taster tray from owner Aaron Lee and verified Ben's statement (the saison was my fav). 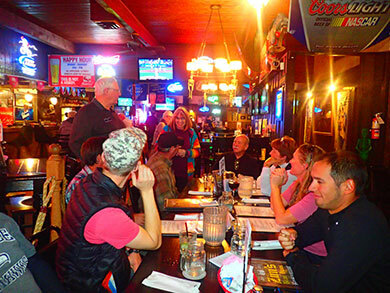 One evening we went to Zim's Brau Haus, a restaurant and pub favored by the locals. The place was jamming with folks and the Cubs were playing in the National League Championship Series. We had a great visit with The Dalles dignitaries including the mayor and several city council members...and the home cooked meals were more than satisfying. 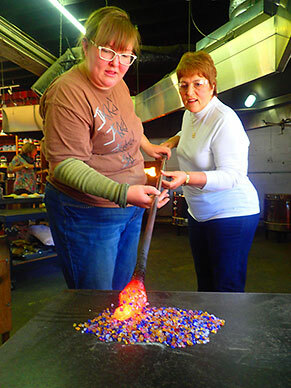 Do yourself a favor and tour Nichols Art Glass (www.nicholsartglass.com) while visiting The Dalles. 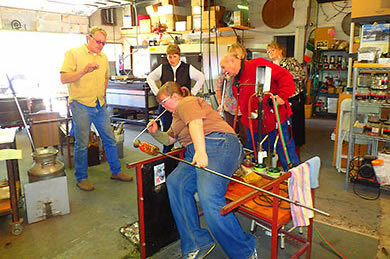 Owner Andy Nichols and his staff produce world quality glass-blown pieces, especially in the genera of salmon, steelhead, trout. Two members of our party actually made pieces under Andy's instruction. 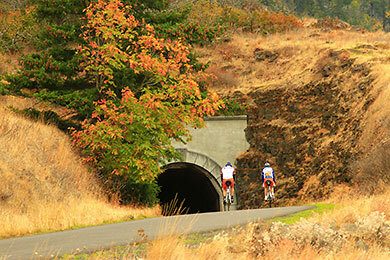 Biking and hiking trails are abundant in and around The Dalles, especially in the Gorge. 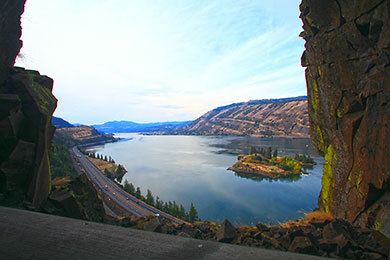 We hiked through Mosier Tunnel one afternoon on the Historic Highway, stopping at Panorama Point for its extraordinary views. The trail was filled with bikes and hikers. 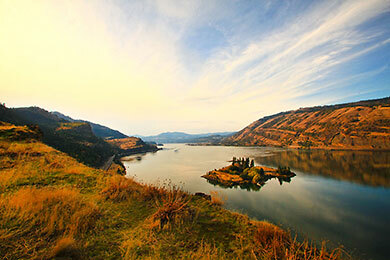 You can literally hike and bike from The Dalles to Hood River. 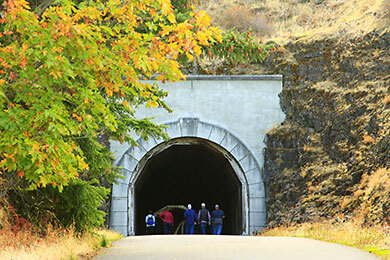 Many Hood River residents bike to Mosier Tunnel and back as their daily exercise regimen. 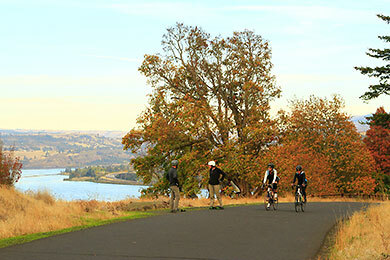 Immediate to The Dalles is the Lewis and Clark Riverfront Trail that connects the Columbia Gorge Discovery Center to Riverfront Park and soon to The Dalles Dam. 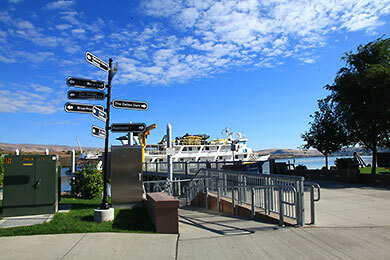 A new dock (National Geographic's tour ship Sea Lion was moored when I was there) at the foot of Union Street connects downtown with the Columbia. 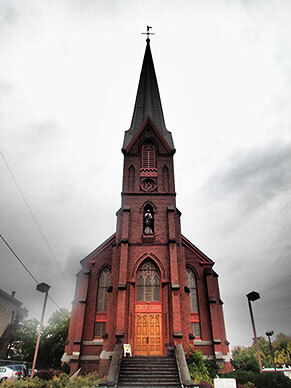 I did two personal tours of downtown The Dalles after the FAM trip ended. 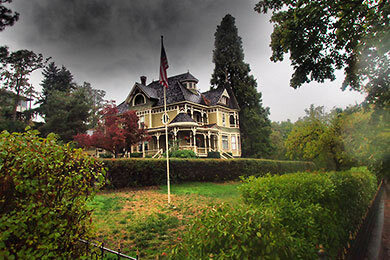 The Dalles has 70 historic buildings, 25 from the 1800s. It is a great walk with ample visual stimulation. 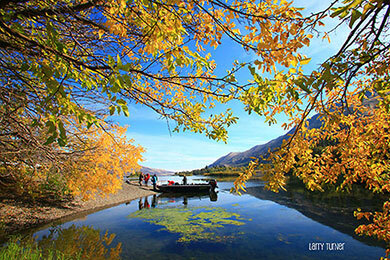 Like any travel story, you can go on and on. I'll end here. 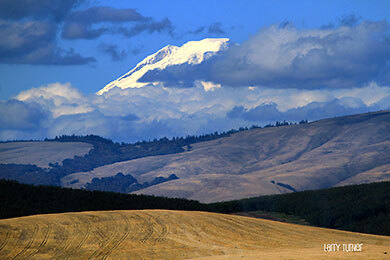 But The Dalles made me smile. The only remedy for that smile to be maintained is to go back, and that I intend to do, and when you see what I saw, you will, too. 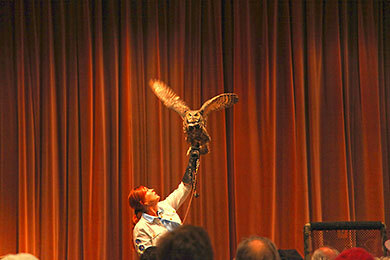 IMPORTANT INFORMATION: Portland Airport (PDX) is located 80 miles away.